Ativan with the brand name of lorazepam is a benzodiazepine drug that is moderate to short acting, but a high potency benzodiazepine. Hypnosis induction in patients in intensive care units. Ativan has a very high addicting potential, which increases the use of the drug as a recreational substance. Because of the inability to recall new events and sedative hypnotic effects of Ativan, it has been used for criminal purposes. Since Ativan has a very strong addicting effect, it also has the potential for abuse and overdose because individuals taking Ativan may increase the dosing in order to achieve the recreational benefits of Ativan. 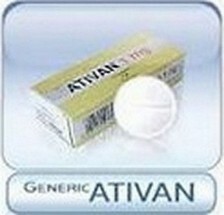 Ativan is available in tablets, oral solution, sublingual tablets, skin patches and solution for injections. In the presence of Ativan overdose, it is important to establish a medical history because those who have prolonged use of the drug have a less risk for overdose because of developing drug tolerance. Ativan overdose may lead to anterograde amnesia in clients receiving it. Anterograde amnesia is related to the slowing down of the brain impulses in the frontal lobe, which is the seat for memory. The slowed electrical impulses in the brain may also lead to depression in patients suffering from Ativan overdose. Benzodiazepines are used in treating seizures, but the presence of Ativan overdose may result in paradoxical effects such as recurrent seizures. Dysarthria is the presence of difficulties in forming speech. This may occur as a result of the affects of the speech center on the Broca’s area of the frontal lobe. Drowsiness is a common symptom of Ativan overdose. This is usually a result of the increased stimulation of GABA, which is an inhibitory neurotransmitter. Drowsiness is opposite to the Caffeine overdose symptom of CNS stimulation. Hypotonia is the presence of decreased tone and strength of the muscles. This may occur because of the decreased nerve impulses to the motor cortex from the brain. Hypotension is also a possible symptom of Ativan overdose because the drug may also bind on the alpha adrenergic receptors causing antagonistic effects that lead to vasodilatation. The presence of hypotension may manifest as dizziness, weak pulse and rapid heart rate. Ataxia is also a possible symptom of Ativan overdose as a result of the affectation of the cerebellar activity, which is responsible for balance and coordination. Hypnosis is also a common symptom of Ativan overdose and may result because of the CNS depression. When the body is not able to compensate with the hypotension, severe lowering of the blood pressure may arise and lead to cardiovascular collapse. Respiratory depression may also arise as a result of CNS depression. This is a life-threatening occurrence because it may lead to death once the patient ceases breathing. Coma may also be possible due to severe CNS depression. The primary causes of Ativan overdose are accidental or intentional ingestion of large doses of the drug. The diagnosis of Ativan overdose is made through identifying the blood level of lorazepam. The normal blood therapeutic concentration of lorazepam is usually 10 to 300 ug/L. A blood level of 300 to 1000 ug/L is usually a lethal level of lorazepam in the blood. This level is usually found in patients who die because of Ativan overdose. Emetics are usually administered to patient with alert status in order to induce vomiting and prevent the systemic absorption of the drug in the intestines. Emetics may be in the form of syrup of Ipecac. Gastric lavage is also done in order to perform washing of the stomach in cases of oral ingestion of Ativan. Gastric lavage involves the instillation followed by aspiration of normal saline solution with activated charcoal to prevent the movement of ingested Ativan in the small intestines for absorption. Activated charcoal is used because of its ability to absorb poisons in the stomach to be removed using gastric lavage. Flumazenil (Romazicon) is the antidote for benzodiazepine toxicity or overdose because it competes with lorazepam at the GABA receptor sites. Other managements include supportive therapy especially for the respiratory and cardiovascular system. Patients experiencing Ativan overdose should also be cared in a non-frustrating and kind environment because of possible paradoxical reactions. Sympathy should be employed because this helps patients respond attentively to treatments. Early management is very essential in order to prevent more severe symptoms of Ativan overdose and prevent premature death as a result of fatal complications of Ativan overdose. ← What is an Overdose?